Explore the Bible App is Now Live!! 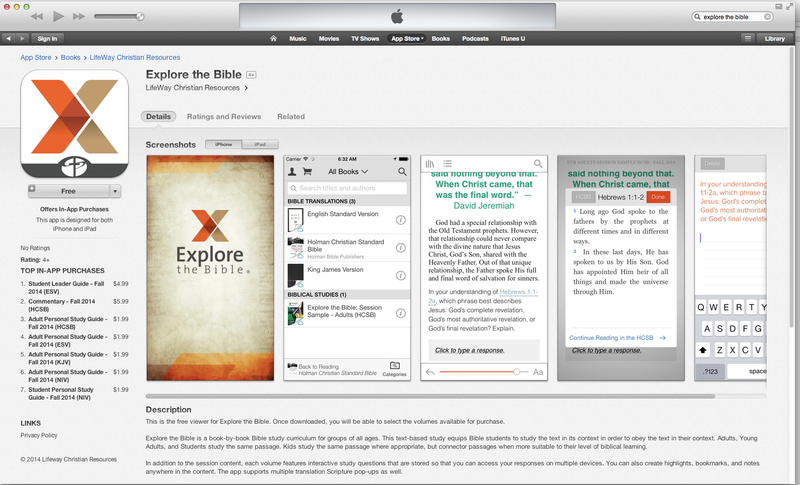 We are excited about the new app for Explore the Bible ! It is currently available in the App Store for iPhone and iPad. The app itself is free and is designed with In-App purchases. This allows students and leaders to sample free content and purchase the full Student Personal Study Guide and Leader Guide. Step 1: Search “Explore the Bible LifeWay” and find the icon in the image pictured above in the header and in the screenshot below. Click on the “free” button to download the app from the iTunes App Store. Step 2: Open the app and you will be able to view your library. Click the shopping cart icon in the top left corner on your iPad or iPhone. Step 3: Then click the Students tab at the top in the Store and find the Explore the Bible : Student Personal Study Guide or Student Leader Guide in the translation you prefer. You have the option to choose from HCSB, NIV, ESV, or KJV. Step 4: Click on the orange icon with the price and this will allow you to purchase and download the app of your choice. Everything you purchase will remain available in the library within your ETB app. Enjoy! If you happen to be an Android user, beginning September 1 the app will be available for you to access from your device. I just down loaded the Life way App. We Just got our new fall explore the bible adult teachers book today. ( I teach at 1st Baptist, Orlando.. I saw your name and said “I Know that lady” and thought I would say hello.. Say hello to everyone and God bless. 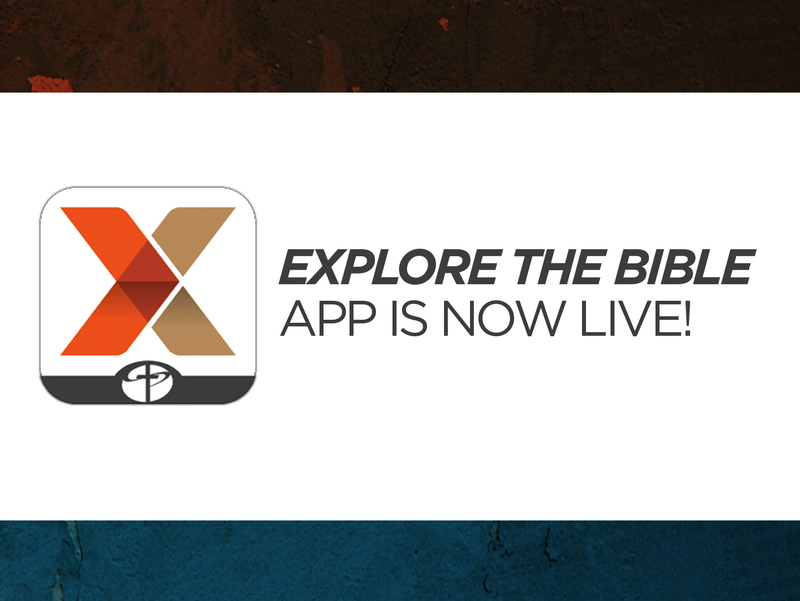 So glad to hear that you were able to download the Explore the Bible App! Thanks for saying hello. I hope you and your family are having a great summer! Is there going to be an Android app? There will be an Android app. It will be available on Sept. 1 and we will post more information about how to access it then. 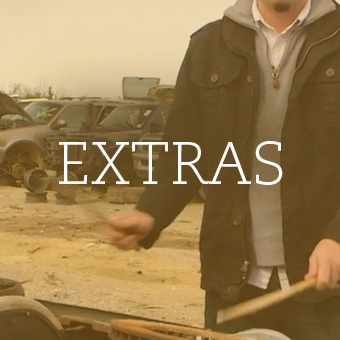 Let us know if you have any other questions about Explore the Bible: Students. Will there be a Windows app? I have a Surface tablet and would like to have it if it’s going to be available. We’re sorry. 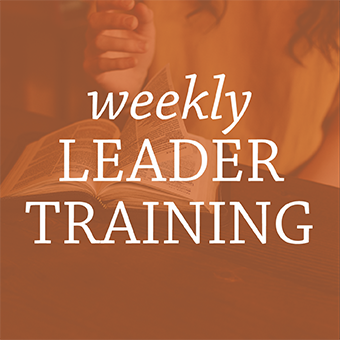 There will not be a Windows app; however, you can purchase the ETB content in digital form at http://www.lifeway.com/Product/explore-the-bible-student-personal-study-guide-leader-digital-bundle-fall-2014-m00050233 and then read the content on one of our websites by logging in with your LifeWay ID through http://reader.lifeway.com or http://mywsb.com. Hi, we purchased the Explore the Bible Annual Digital Bundle and were told that we will be able to access the curriculum both on mycurriculum manager and in the app. However, I haven’t been able to access our material through the app yet. Would you mind telling me how will that work? None of the android apps allow you to save your responses to questions in the ebooks.